We’re down to the final hours of our very first giveaway! There are 5 ways you are able to enter and one lucky person will receive our Christmas Package of props (valued at more than $50!) before Christmas. It could be you! Thank you to all of you who entered the giveaway! I’m really quite honored to have 4,000 Facebook fans. Whisker Works started just 2.5 years ago, and I never expected it would become as big as it has. 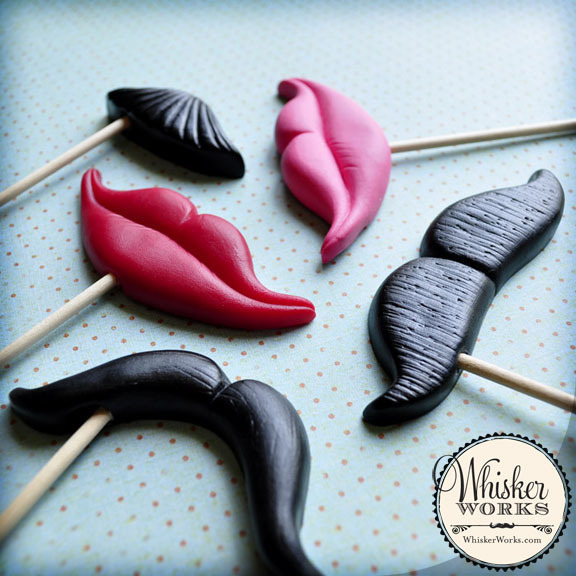 I’m delighted every time I get to tell someone new that I design mustaches for a living! 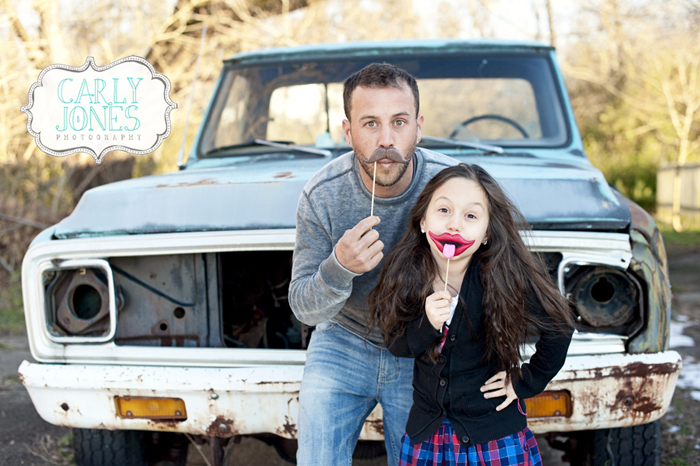 Did you know that IN ALABAMA it is illegal to wear a fake moustache that causes laughter in church? I love unicorns. That will be all. I’ve gotten more comments on the potato with a mustache postcard I did, than on any of my personal pictures combined! I guess I just need to do my personal pics with a mustachioed potato! Favorite mustachioed celebrity? Mr. Redlegs of course! And now it’s time to announce the winner! Congrats to comment #70 belonging to Mysti Wilcox, chosen at random by Random.org. 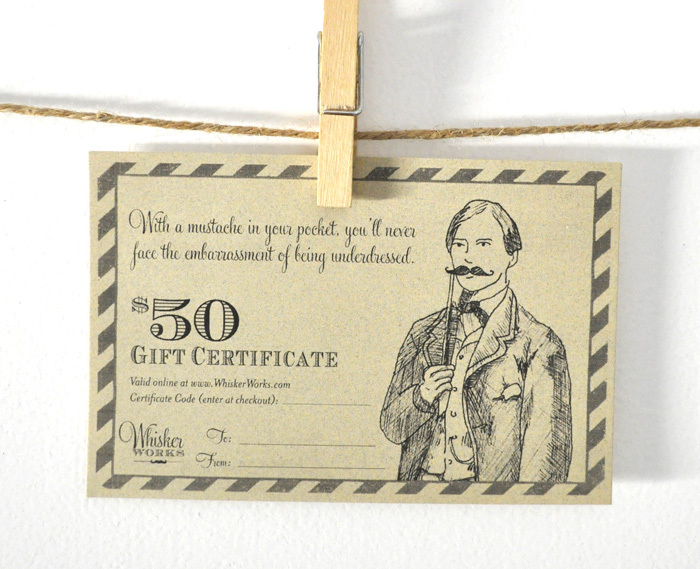 I will email you shortly with details about your $50 credit. In the meantime, browse the Prop Shop to start picking out your goodies! Don’t be discouraged if you didn’t win – as Facebook Fans, you’re always entitled to a discount! Visit my fan page and click on the “Thank You” page for details. Four thousand Facebook fans?! Wow. You guys rock. 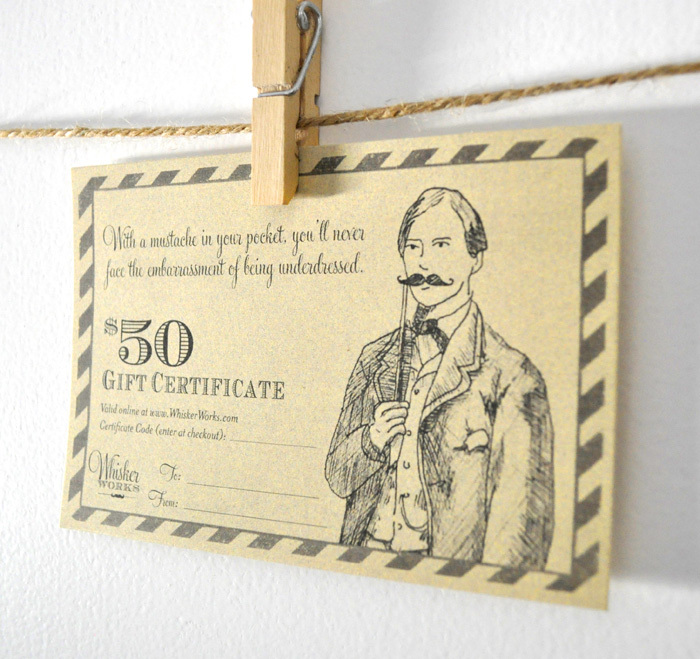 To show my appreciation to you, I’m offering up a $50 gift certificate to the Whisker Works shop. 1.Leave a comment below! Your comment counts as entry #1. Any random comment will do. Say hello, tell me a joke, tell me who your favorite mustachioed celebrity is — anything! 2. Share this blog on Pinterest! Pin ANY image from this blog using “Handmade Hilarity” in the caption. Then come back here and leave a comment saying you’ve completed entry #2. 3. Subscribe to this blog! 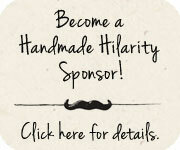 Click on “Subscribe” above and follow the steps to join the Handmade Hilarity mailing list. Once you complete the subscription steps, come back here and leave a comment saying that you’ve completed entry #3. Maximum of three entries per person. 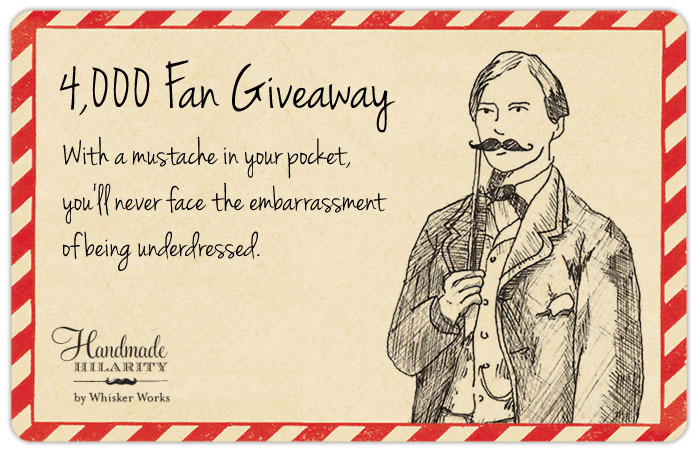 Contest ends Wednesday, July 11 at midnight EST. All entries will be verified and invalid entries will be removed before a winner is chosen at random. I will contact the winner via the email address registered for the comment. If the winner does not claim the certificate within one week, then a new winner will be chosen at random. Share this link! Give your friends and family a chance to win too. I’m sure they’d let you borrow their props if they won.